Mozes was the third son of Benjamin and Grietje Levie. He was born in Meppel on the 22nd of September 1899. His biggest passion was music, in which he saw his future. His father but epecially his mother supported him in this aspiration. The family came to live in Meppel and after some time of preparatory study, Moos became a musician in a military band in Brabant, where he did compulsory military service. After his studies he established himself in Meppel as a musician and comedian. He performed in Meppel and surroundings under the pseudonym of ‘Max Vilé’ (an altered version of his own name Levie). In Meppel, Giethoorn, Dwingeloo etc. people knew his slogan ‘Max Vilé, the much wanted comedian’. 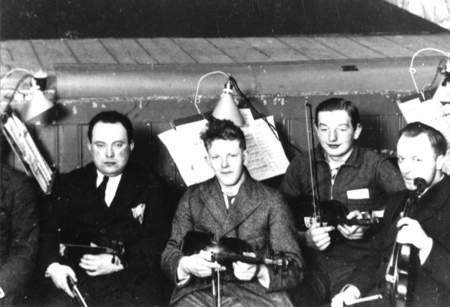 He also arranged the music for gala evenings, together with pianist Jan Lingeman (who had a music shop on Zuideinde). the stage name ‘Max Vilé’. 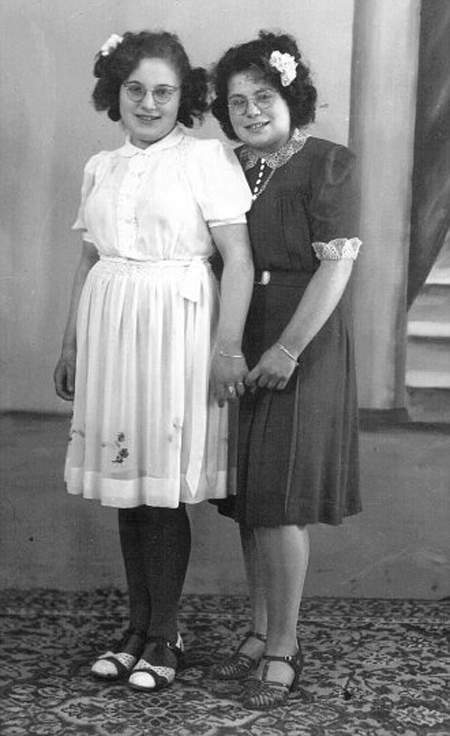 In the twenties Mozes married Bloeme Pam, a girl from Amsterdam, who had before been married to Herman, (his younger brother) who had died at an early age. They had two children: Grietje was born on the 2nd of August 1927 and Nathan was born on the 6th of January 1932. Mozes had a third (illegitimate) child living in Frederiksoord, for whom he paid f 2.50 an allowance every week. 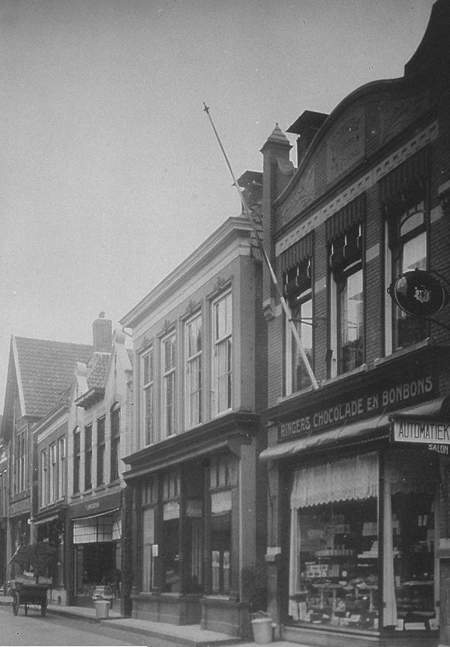 Bloeme was running a lingerie shop at 19, 2nd Hoofdstraat already before they got married. After the wedding Mozes helped his wife in the shop, if the music did not take all his time. 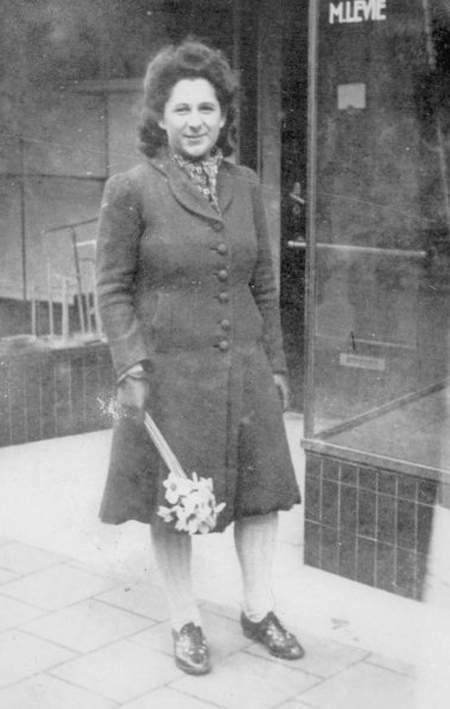 After the War, Miss Kuiper carried on the business of the Levie family, and she also had a fashion store in the same building. Bloeme was known as a very special person. In those days it was normal to find her behind the counter in the shop, but also at the market, where she was a well-known figure. There she could show her qualities even more than in her shop. It was said that she could ‘lay golden apples on a silver plates’. When she had got into her swing, her eloquence was unlimited. One witty (or daring) statement followed another. A story is told that she once sold a pair of knickers and added that a quite a big bottom would fit in. Another time she said she had trousers for heat, cold and water waves. She was also well known for her saying: ‘Pietje-Patje-Poe en het papiertje krijg je toe’ (‘Pietje-Patje-Poo and you get the paper too’). A neighbour of the Levie family, Abraham Brul, could do a first class imitation of Bloeme. Once he hinted at the fact that Bloeme wore the trousers at home, which ended in a fierce battle between him and Bloeme’s husband. It almost became a street fight, because some of the bystanders joined in. Luckily the opposite neighbour Van Dijk could appease the quarrel in time. 1940 and 1942 in the album of verses belonging to Truidi Vleems. The Levie family slogans were well-known; for instance about the blankets they sold: ‘Alleen onder de dekens van Moos blijft men kinderloos’(‘Only under the blankets of Moos one will stay childless’). The Second World War was for the whole Levie family the point of no return. In the beginning there were the ‘usual’ pin pricks by the Germans, but by 1941 it got really serious. Little by little it became impossible to do business; the shop was closed, so was their market stall. In the meantime Mozes had been held prisoner for eight days from the 22nd until the 30th of April because of ‘distribution fraud’. He had probably taken some left over stock from his shop. 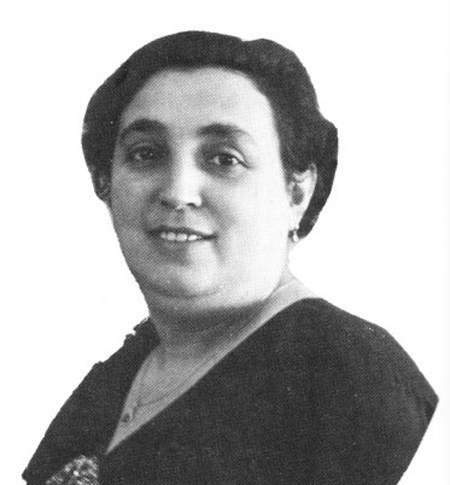 On the 8th of May 1942, Mozes walked to the office of the Chamber of Commerce (of course, following the instructions of Omnia), to sign papers that stated that his business went into liquidation. A year later, on the 15th of July 1943, the business was formally liquidated. In the meantime the Levie family had disappeared from Meppel a long time ago. In July, Mozes had been transported to the labour camp in Orvelte. Around the 2nd of October he returned once more to Meppel on leave. On the 3rd of October he and his family were taken from their home and transported to Westerbork. Bloeme, Grietje and Nathan died in Auschwitz on the 8th of October 1942. Mozes would suffer much longer. The 31st of August 1943 is given as the date of his death. He died somewhere in central Europe. What will he have gone through?